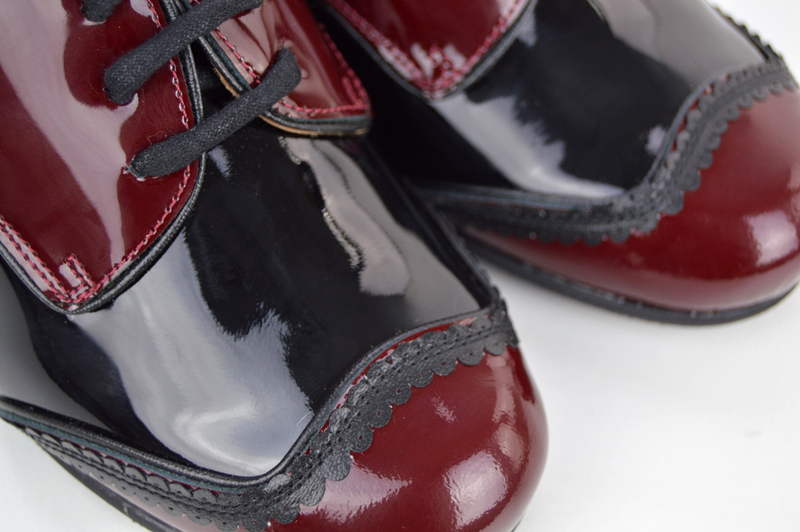 New to Modshoes, The Sally. These shoes are made by the same people that make our Dusty. What we liked about this style is the retro feel. We thought they would work well casually with Jeans, or Jazzed up with a quirky outfit, but then also “not out of place” in an office. 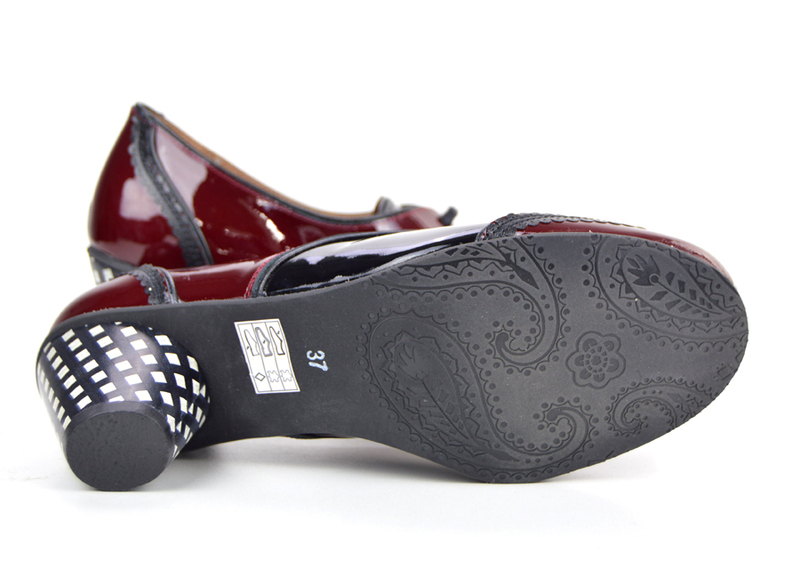 The sole is rubber, with a small 2.5 inch heel. 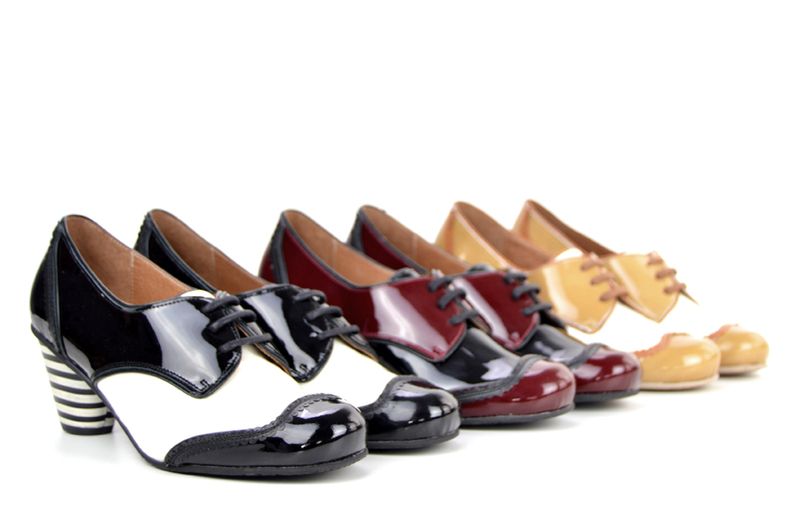 The patent leather top is good leather, and will wear in a relative small amount of time. Sizing on these is good and we would advise sticking with size. The Lace up part does mean they will accommodate well, but would advise these are NOT wide fitting. That said, people we have tested these with said these do feel comfortable and sturdy. The shoes are made for us in Spain, by a small company that specialize in small runs and retro feel. The colour you see here is limited to 23 pairs, so its unlikely that you are going to bump into another pair of them! Lovely smart shoe. Fit is a little tight to start but they seem to mould to your feet. I have had so many compliments wearing them. Love love them. Another great fit. Bought these. Little while ago and they had their first outing today. Worn all day, very comfy straight from the box and look ace!